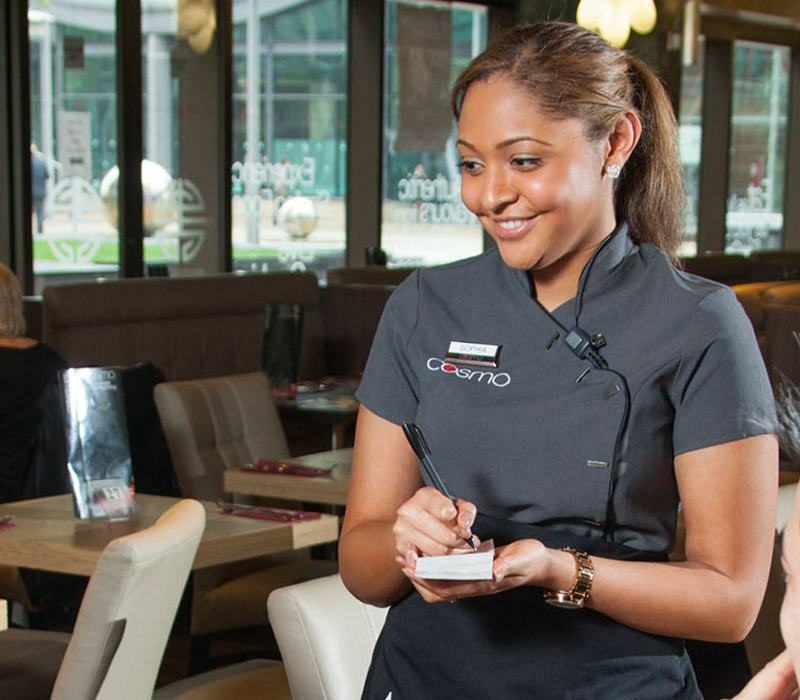 Here at COSMO, our employees are our people and our ambassadors. They are at the heart of everything we do and have been an integral part of COSMO becoming a successful restaurant brand. We aim to give meaning to our people’s time with us by offering training and skills development to grow personally and to have the opportunity for a rewarding career with us. We aim to recruit people who want to be part of our success story and share our passion, enthusiasm and willingness to engage with our values to improve not only our customers experience while at COSMO but their own. We look forward to welcoming you to the COSMO family. Since opening our first restaurant in Eastbourne, Sussex in 2003, COSMO has become a critically acclaimed restaurant group that rivals high end buffet restaurants more commonly found in 5 star hotels and we are currently in 19 city locations across the United Kingdom and still growing. E – Engagement and always go the extra mile.